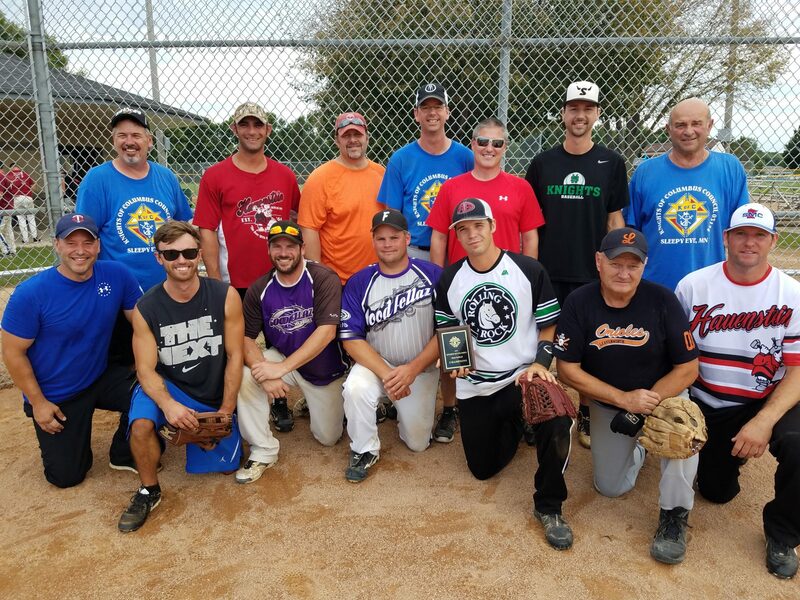 On August 25th and 26th Faribault Council 889 hosted the 45th Annual State Knights of Columbus Softball Tournament at Alexander Park in Faribault. Although team numbers were down the camaraderie between players was great and the fan support made for a very exciting tournament. 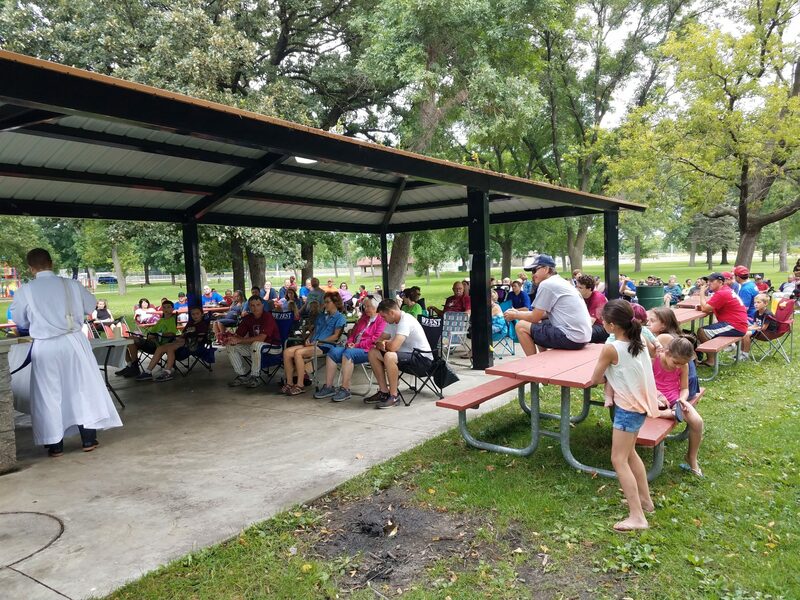 Sunday morning at 10:30 there was a break in softball play to attend a Mass at the park which was celebrated by Fr. Brandon Theisen. Sleepy Eye won the State Championship by going undefeated and winning all 6 games it played in. You have to take your hats off to Sleepy Eye and its players on successfully repeating as State Champions. Other teams competing this year were Cloquet, Lakeville, Mankato, North Mankato, and the host teams Faribault # 1 and Faribault # 2. I personally want to thank all the players, fans, umpires, and people who donated their time to make this year’s tournament a success. Faribault will be hosting the 2019 KC State Softball Tournament on August 24th and 25th 2019. Spread the word.